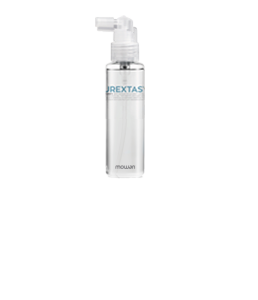 When dealing with sebum alterations, the hydro-lipid balance can be easily restored by using products in the PUREXTASY PURIFY line. The exclusive formulation of Purextasy Purify Anti-sebum adjuvant shampoo, Purextasy Purify Anti-sebum adjuvant conditioner and Purextasy Purify Anti-sebum adjuvant lotion has an effective action in normalising the pH and sebum flow, ensuring your hair remains clean for longer and making it feel fresh and soft. INDICATED FOR: For greasy hair or with a tendency to greasiness. BENEFITS: Lenitive action on the scalp. Makes hair strong and light*. Blueberry (Vaccinium Myrtillus) is a small shrub that grows in mountain regions, especially in the undergrowth. Blueberry contains citric acid, which has a protective action on cells, and a vitamin complex that offers perfect balancing to skin and hair, together with an effective lenitive effect and sebum regulation. The excellent qualities of chestnut leaf and bark extract bring many positive skin health benefits: it is astringent, toning, anti-bacterial, lenitive and anti-ageing. Tannins and flavonoids contained in chestnut leaves, as well as ursolic acid present in the bark, make it the ideal adjuvant for skin sebum regulation. Mode of use: apply on wet skin and hair by massaging. Rinse and continue the treatment with Purify Anti-sebum adjuvant conditioner. Mode of use: apply on skin and hair, moistened by a damp towel. Leave in place for 3 minutes, rinse and continue the treatment with Purify Anti-sebum adjuvant lotion.